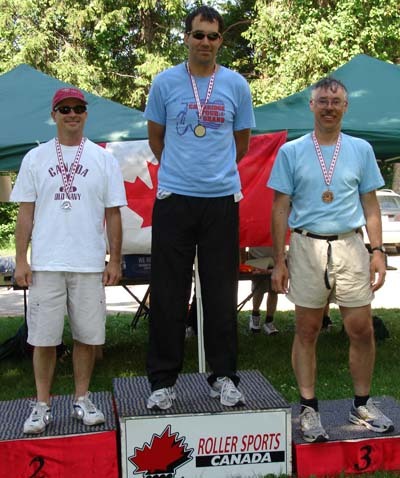 Roller Sports Canada’s 2008 World Team was confirmed at the Canadian Championships, which were held June 28th- 30th. 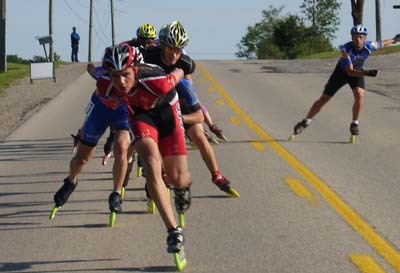 The team will travel to Gijon, Spain, to represent Canada at the World Roller Speed Skating Championships from the 4th to the 12th of September. 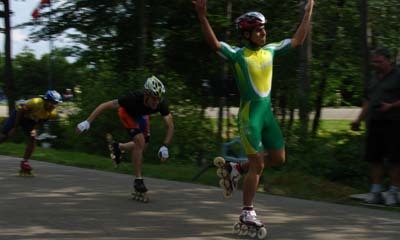 You can find additional information on the World Roller Speed Skating Championships thanks to Mundo Patin. The Canada Day Marathon was held in ideal conditions on July 1st. 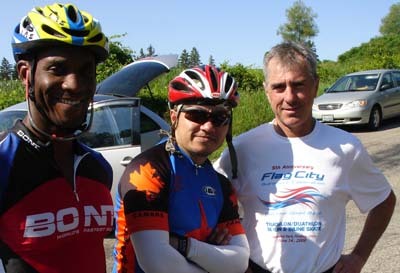 Participants enjoyed a fast road course, good competition, and a BBQ before medal presentations. Martine Charbonneau and Peter Doucet set course records on their way to respective victories in the women’s and men’s overall titles. 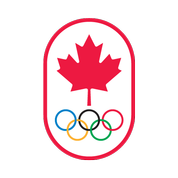 Skaters came from out of town to participate, including some from Quebec, Alberta, and the USA. Next year’s event will take place on July 1st, 2009. 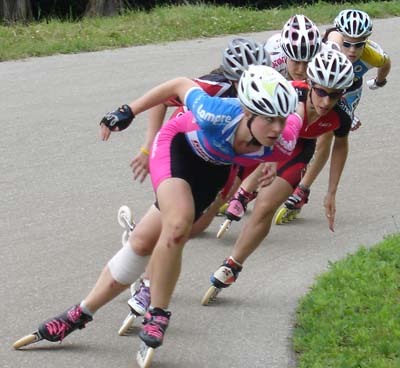 Roller Sports Canada held its annual Canadian Outdoor Championships Saturday through Monday. Toronto’s Sarah Hopkins was crowned Senior Women’s Champion while brothers Jesse Pauley and Jade Pauley were crowned Senior and Junior Champions. Many Canadian records were set, most noteably in the Freshmen Girls’ category. Paisley Perrie and Bailin Xie combined to break the records in all four distances. Logan Wanless and Trevor Scott each set records in the Primary Boys’ distance races. Lisa Meyer re-wrote the record books for the Grand Master women while Jamie Gavinho and Elizabeth Perrie each broke a record in the Intermediate category. Jade Pauley set two records in the Junior Men’s while Peter Doucet was the only to break a record in the Senior Men’s distances. The track racing was capped off with relay races. The Freshmen Boys & Girls and the Senior Men’s winning teams set the national records. Due to an error in number of laps skated, the Senior Women’s mark was not set.